Are you ready for the Mobile Generation? A stereotypical Millennial is always on the phone; tweeting, liking, texting, Snapchatting and so on. This phone-addicted generation is shaping the way content gets delivered. From retailers to television producers, everyone is stepping up their game to catch the Millennials’ attention by creating mobile content. According to a recent global Millennial study by InSites Consulting, 42% of Millennials consider it important to be able to purchase a brand’s goods or services through their mobile device. Brands have noticed Millennials’ attachment to their mobile devices and have advanced the options for consumers to purchase their products without ever needing to get off their phones. Lots of brands from Uber to Seamless to Amazon Prime Now are already working to land Millennial customers through application-based services. 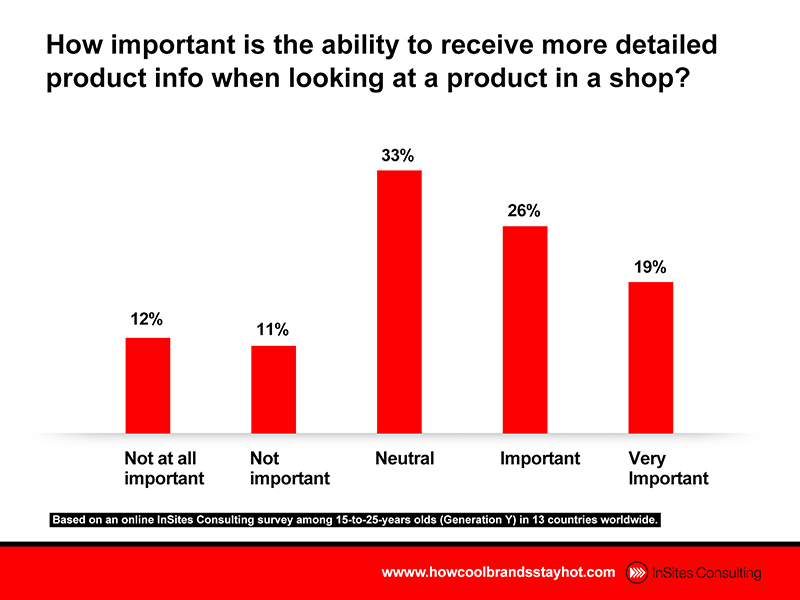 At those times when Millennials choose to shop in store, 44% of them want the ability to receive more detailed product information on their phones. Even when their mobile devices are not the only way they are shopping, they want their phones to enhance their in-person buying experience. This is indicative of how Millennials relate to brick and mortar stores as well. They still value seeing products in person before making a purchase. However, they prefer to be involved with the product digitally as well, perhaps by browsing reviews and similar products, while in the store. Millennials are not only using their phones when they are bored or while traveling. 48% of Millennials use more than one device when watching television. 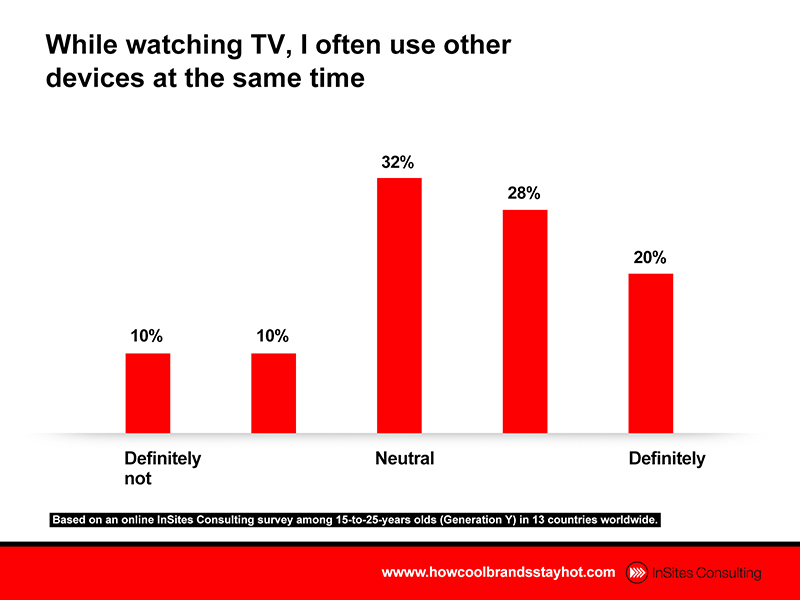 Even when watching television, they still want to be engaged with more than one screen. Television producers understand this phenomenon and started incorporating hashtags into TV shows. Viewers can tweet their thoughts on the show using their mobile devices and engage in conversation with other viewers. This also keeps Millennials engaged with the TV show in question through two or even three screens at the same time. In an age of Netflix and TiVo, engaging consumers through social media encourages live viewing, which drives up the TV network’s profits on commercial airings. 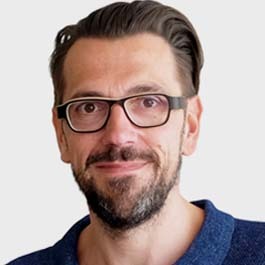 So, are brands ready for the Mobile Generation? A recent study by Mitek & Zogby Analytics taught us that US Millennials are more than often disappointed by what they find when visiting a company’s mobile site or app store. For example, 71% of respondents said that many companies didn’t even have a mobile app yet. And even worse, 86% of those questioned commented that a lot of websites didn’t offer good mobile functionality. 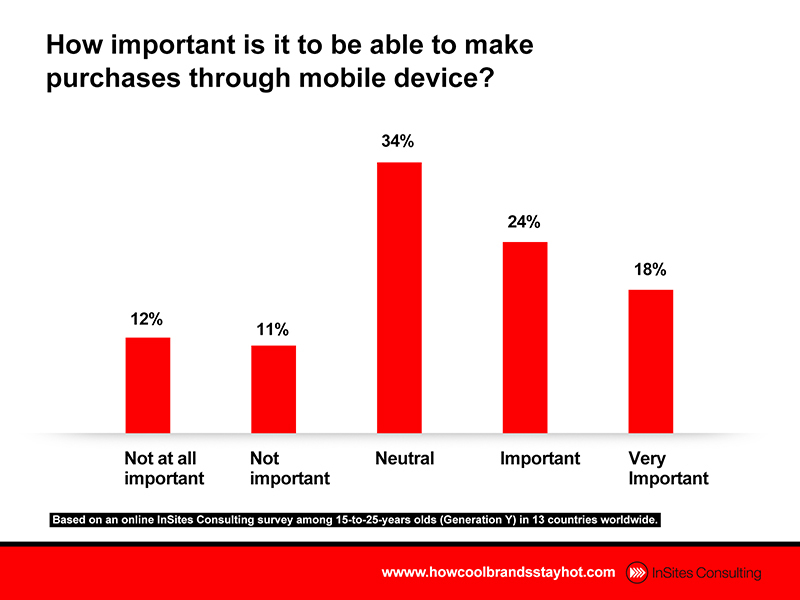 With nearly half of respondents attempting to access the mobile site of a business via smartphone or tablet at least once a day, there’s loads of potential for brands to truly step up their mobile game. Clearly the future is mobile. Millennials are expecting a lot from their phones and companies have started noticing it. As more brands step up to the plate to engage with Millennials through their mobile devices, m-commerce and interactive TV programming, how will you respond to the Mobile Generation? Co-written with Gila Allswang, trainee at InSites Consulting’s New York office. Student Village » How Uber Drove It Home With SA’s Youth | Where it's at!